If you have old, leaking, or broken drains or sewer lines on your San Bernardino County property, trenchless pipe relining or bursting can save you from having to do major excavation work. Using this "no-dig" technology, Steve's Service is able to completely repair or replace your drain or sewer line without having to expose the entire length of the pipe. Instead, by creating just one or two holes, we are able to access the damaged portion of the pipe and repair or replace it in less than a day. By doing so, you save money on excavation and avoid causing extensive damage to your property. At Steve's Service, we specialize in trenchless drain replacement and repair and provide this service to residential and commercial clients throughout San Bernardino County. We have thousands of satisfied clients and a reputation for doing excellent work at a fair price. All trenchless pipe bursting and relining services are performed by our own licensed plumbers who average 15-20 years of experience. They are experts in trenchless drain repair and replacement and are able to complete jobs of all sizes quickly, conveniently, and cost-effectively. 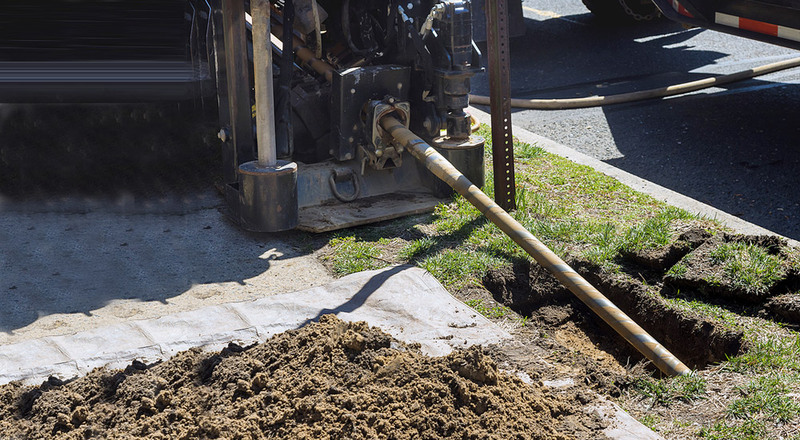 For drain or sewer line repairs, we use trenchless pipe relining (also known as trenchless pipe rehabilitation), where we use air inversion to shoot a whole new pipe into the old pipe. The new pipe fits the inner diameter of the pipe, thereby creating new lining in the existing sewer or drain line. To completely replace a portion of your drain or sewer line, we use trenchless pipe bursting, which involves pulling brand new pipe through the existing pipe; in the process, the old pipe is smashed and the new pipe stays in place. In both cases, our new piping is warrantied for 20 years and rated to last for 80 years. Call today to work with the Inland Empire's drain repair and replacement experts. We can provide you with an on-site estimate at a time that is convenient for you, or immediately dispatch a technician if you are facing a plumbing emergency. Emergency calls are welcome 24 hours a day, 7 days a week. Additionally, for our commercial clients, we can schedule work after normal operating hours to minimize disruptions to your business. Give us a call to learn more.